BLOX Racing Type-R 5- and 6-speed shift knobs are CNC-machined from high-grade, stainless steel and custom-weighted to 450 grams. These shift knobs, also referred to as ‘the Original” or “tear drop” are designed to increase the effects of quick-shifting and will help minimize binding. BLOX Racing Type-R shift knobs are available in four PVD-coated hues and come in 10×1.5,10×1.25 and 12×1.25 thread pitches. When BLOX Racing introduced the 490, it took the Industry by surprise. People asked, “could it really be that heavy?” “50mm?” Now, the 490 Spherical is one of the best selling shift knobs in the Industry. The BLOX Racing 490 Spherical shift knob is CNC-machined out of high grade, billet stainless steel and then custom-weighted for maximum performance. 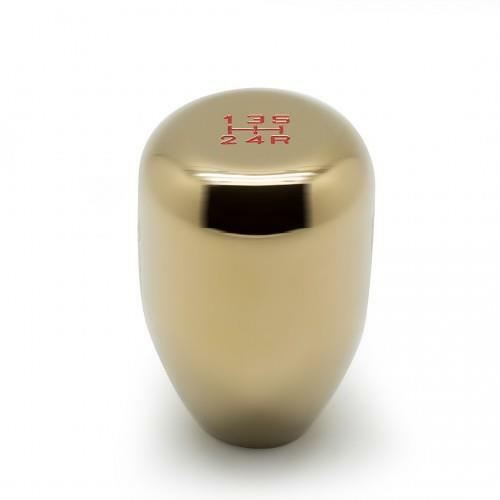 Each shift knob is then PVD-coated for superior hardness and wear resistance. The BLOX Racing 490 Spherical shift knob comes in four matte finishes and are currently available in 10×1.5, 10×1.25, and 12×1.25 thread pitches. BLOX Racing 142 Spherical shift knobs are CNC-machined out of high quality, billet aluminum. After each shift knob is precision machined, they are anodized for durability in eight brilliant, show stopping finishes. 142 Spherical shift knobs are currently available in 10 × 1.5 thread pitch. Each measures 47mm and weighs 142 grams. 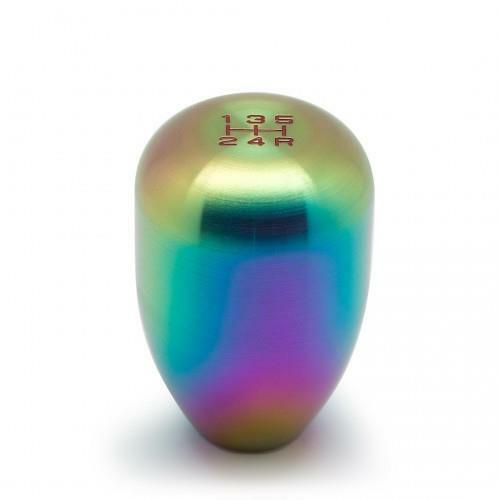 Each shift knob is weighted to 189 grams and undergoes Mil-spec Type II anodizing process. The FR-S style shift knob is designed to accept any vehicle with a 12×1.25 reverse lock-out lever.